UPAA-MB Grants Theses Bursaries to UP Baguio Students – UP Alumni & Associates in Manitoba, Inc.
UPAA-MB Inc. recently awarded a total of $1,771.00 or Php 62.064.00 to undergraduate students of UP Baguio to support their theses preparation and writing. Recipients (some in teams) were chosen based on their academic achievement, financial needs, and the social impacts of their theses. The top team received $885 or Php 31,014, while the 2nd placer and 3rd team each received $443 or Php 15,525.00. The recipients are mostly children of taxi drivers, sari-sari store owners, construction workers, and housewives. The top team is composed of BS Biology seniors Roselyn Solomon, Kimberly Paglingayen and Patrisha Kate Moises. Their thesis is a comparative analysis of copper contamination in Agno River and its ecological impact on the native fish species – Terapon jarbua locally known as “Bogaong” and its parasite Anasakis. Bogaong is one of the most consumed fish species in the Philippines. Meanwhile, solo second placer Jared Jeric Dela Cruz, a BS Management Economics major, sought to determine the regional economic variables that attract foreign investors to make Foreign Direct Investments (FDI) in a particular country and region. Dela Cruz wanted to help local governments and organizations in their focus for improvement. The third placer is another team of BS Biology seniors composed of Renren B. Barroga, Jericho Allain Kyle B. Vidad, and Leonard Q. Guerrero. Their thesis is about Quorum Quenching (QQ) potentials of various microalgae as a new and better way of treating bacterial infections. The study aims to identify which among the Philippines’ rich microbial resources can be developed into antibiotics in order to lessen the country’s dependence on expensive imported drugs. 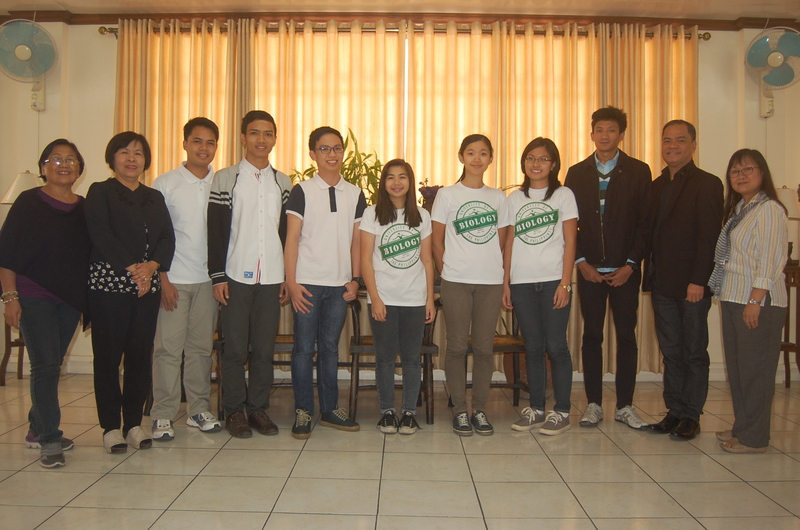 21 applications were received from four UP campuses, namely UP Baguio, UP Cebu, UP Diliman, and UP Tacloban. The bursary monies were raised by UPAA-MB members and friends through a Breakfast fundraiser held at Canton Buffet Restaurant last May 2015. The Fundraising effort was spearheaded by Mei Villafania. The applications were reviewed and evaluated by UPAA-MB members Arwin Chua, Christy Domingo, Norman Garcia, Noel Generoso, Sarah Gonzales, PJ Failano, and Aiza Sola. The introductions and correspondences between the Bursary Committee and with the participating UP campuses were facilitated by Upsilon Sigma Phi. This is the second time that UPAA-MB extended its bursary project to the University of Philippines System students.